Unless you were in seclusion the whole time, you must have heard that Steve Jobs, former CEO of Apple, has resigned, and Tim Cook, has acquired this position. We all expected change. And now, we recently heard a rumor, that Apple attempted to buy DropBox, the popular cloud storage service for $800 Million, but apparently, they declined the offer. 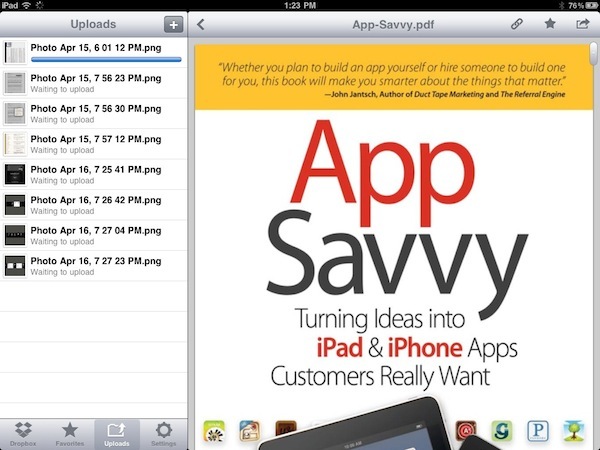 GoodReader, the best possible document reading application for iPad and iPhone has been updated to version 3.3 which adds a much awaited feature that allows users to sync their documents to Dropbox or other remote syncing services including SugarSync. 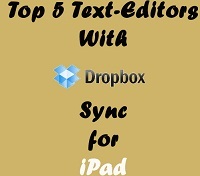 In recent times, there has been a flood of simple document creation apps that support Dropbox sync. The concept is extraordinary and allows for creation of quick documents that are always synced with Dropbox and can be viewed quickly from almost anywhere using any device. In this section, we will highlight the best of such Apps that would make content creation on your iPad simple and efficient. Noteshelf is the best ever application for the iPad that will fulfill all your note taking and touch screen handwriting needs. You can easily take handwritten notes on your iPad using Noteshelf and they turn out to be extraordinarily good. There are loads of themes, backgrounds and colors to choose from. Noteshelf HD is a note-taking App that allows you to take handwritten notes on your iPad. With a stylus, it feels almost as if you are writing on a paper and you can always use your fingers for an enjoyable and smooth handwriting experience. In an interview with TheAppleGoogle, Rama of Fluidtouch.biz revealed the concept, future plans and even shared his thoughts on the Mac App Store. SugarSync is an amazing file-syncing service that allows you to store data on the cloud and access them from anywhere and from almost any device. The company offers a lot of payment plans currently out of which one is a free plan. 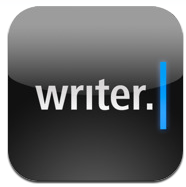 A new writing App that has been featured by Apple is “iA Writer”. Brilliant typography, additional keyboard functionalities, remarkable user interface and sensational dropbox integration make the App a chart topper. Creating content on an iPad is fun with its extraordinary keyboard and the gorgeous large display. There are loads of note taking and text editing Apps for the iPad but once content is created, transferring them and accessing them from other devices is a pain.